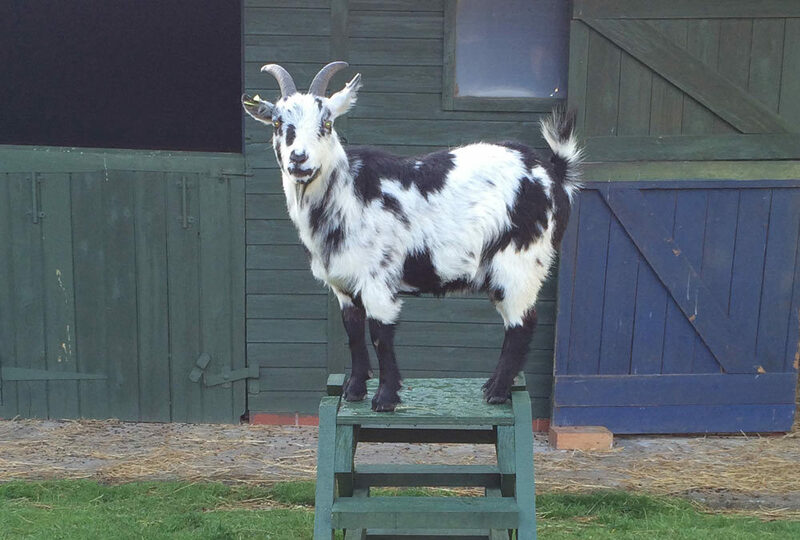 So, this week we needed to bid a fond farewell to Gavin, one of our goats. Unfortunately it was time for him to move on to pastures new, as we have a billy goat coming to visit Stacey and Bambi, our two females, in the new year and no doubt, as we saw last time, he would only start fighting with the new man in town. The thing is we only have a certain amount of space for our goats and as Gavin is a wether, he was never going to be able to help the ladies in their desire to raise a family. So the best thing that we could do was to find him a lovely forever home, and that’s exactly what we did. He has gone to live on a farm, with another wether who was lonely and keen to have some company and I’m sure they’ll get on great! And as I’m a Scot living in Yorkshire and again we are often labelled as being over thrifty, I could be seen as being doubly tight, so why in heavens name would I agree to hand over £100, if I fail to win this weight loss challenge, I swear, I must be going doolally tap! As a side note, the fact that the frost has arrived recently, has in fact assisted me in burning off additional calories, as each day I have had to do extra trips, therefore extra mileage, to make sure all the animal feeders are clear of ice. So, you never know, I might just win this challenge yet!